You Are Here: Home » A.L. Davroe » Reddit AMA: Ready to Ask A.L. Davroe Anything? Don’t miss A.L. 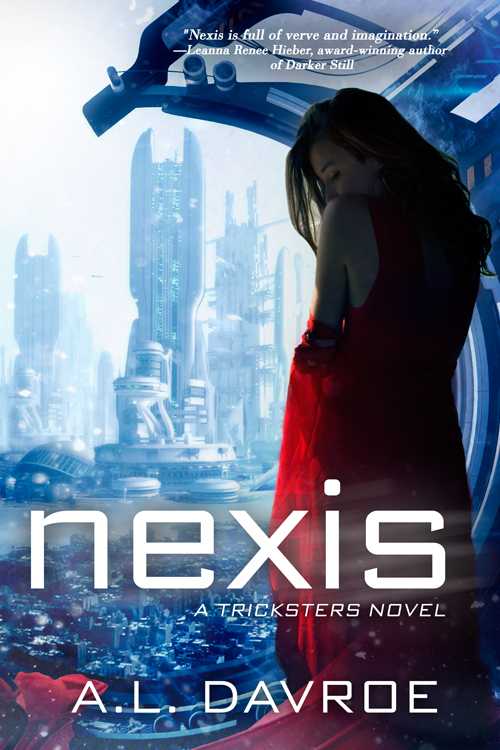 Davroe’s Ask Me Anything on Reddit.com/r/Books about Nexis, the first book in the Tricksters Series! Whether you’re big into YA Sci-Fi, gaming, or both, do we have a book for you! On Tuesday, December 1st, we released a three of our biggest YA Sci-Fi books for the year, including the debut, traditionally published YA novel by A.L. Davroe, called Nexis. Whether you’ve read the book already or not, you won’t want to miss your chance to ask the author of the first book in the Trickster series on Reddit.com/r/Books on Wednesday, December 16th starting at 5pm EST. If you’ve never used Reddit before, you’ll need to sign up for an account in order to participate, but when you do, you’ll have plenty of other opportunities to post in the Books and other subreddits about whatever topics interest you. Hope you can make it on Wednesday! Swoon Sunday: Michael Bennett from Karri Thompson’s Ascendancy!